Jazz Choreography Enterprises celebrates the great American art of jazz dance. we bring jazz dance to artists, audiences, and students to keep it thriving in our community. JCE choreographer Sharlane Conner interviews fellow JCE choreographer Danielle Diniz, is a dancer, choreographer, and teacher based in New York. She will perform in her piece, “Six Gals, for Themselves,” in the JCE Jazz Dance Project on April 27-28, 2019. Galia Abramson interviews choreographer and JCE co-artistic director Merete Muenter. Her piece, “Eleanor,” will be presented in the JCE Jazz Dance Project on April 27-28, 2019. Broadway performer Skye Mattox is participating as a choreographer at the JCE Jazz Dance Project for the first time. Her piece “Safety Dance” is a duet, which she will be performing with Ryan VanDenBoom. 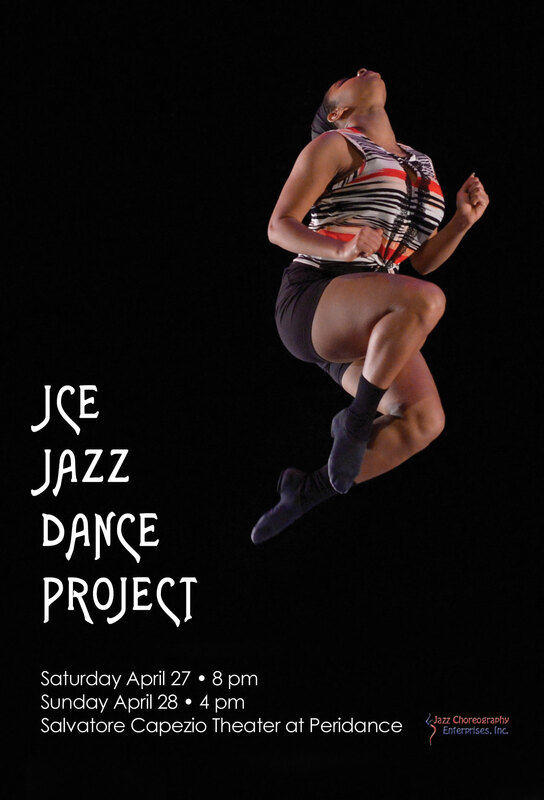 Do you want to be a choreographer in the next JCE Jazz Dance Project? All in all, Jazz is a category of dance with many different attributes, and the New York Jazz Choreography Project ... was successful in representing a wide range of what jazz dance has to offer. The show itself was full of life, and I was thoroughly impressed and entertained by the talent showcased. Each piece of the evening was a joy…All of what the NYJCP coordinated that evening was an evolution of jazz. …all the performers in the program showed a passion and love for the language of jazz dance, and that message was received loud and clear.